Construction is just about finished on a massive, spiralling, go-kart racetrack that looks like a bit like a roller coaster in Niagara Falls, Ont. Construction is just about finished on a massive, spiralling go-kart racetrack that looks like a bit like a roller coaster in Niagara Falls, Ont. 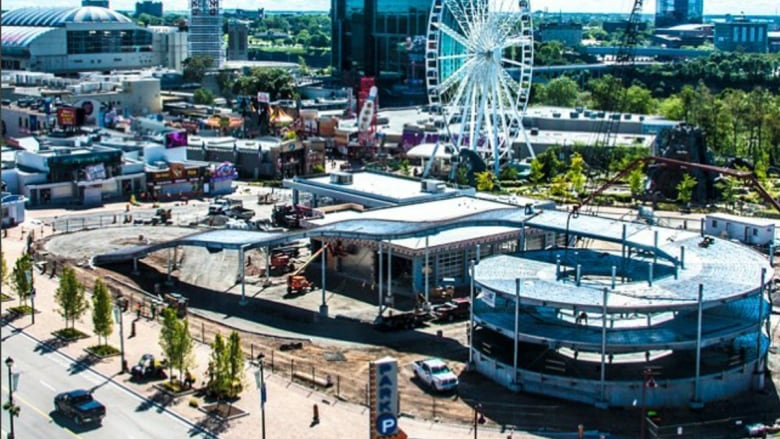 Tourism company HOCO Limited says its new "Niagara Speedway" attraction will be fully built on the Clifton Hill entertainment strip this fall, and after safety testing, should be open next spring. "It's the only one of its kind in Canada," said Joel Noden, director of marketing. "It's going to be a blast." While most go-kart tracks stick to solid ground, the speedway features a 12-metre spiral that winds up into the sky, and then spins down into a track that features loads of twists and turns. The track consists of 1,500 cubic metres of concrete, and 193,600 kilograms of steel. "Going down that ramp is like going down a roller coaster," Noden said. "There's nothing else around like it at all. It's a go kart track on steroids." 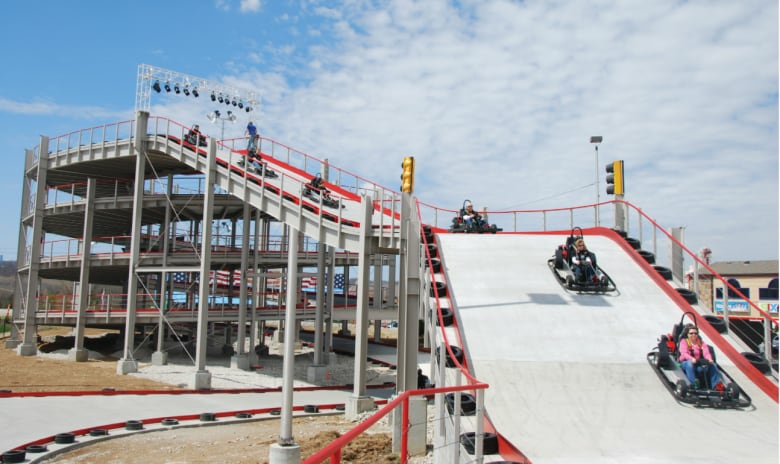 Noden says the company took inspiration from "Heavy Metal High Rise," which is a go-kart track in Branson, Mo. Other attractions include a "6D" motion ride that opened this summer called "Zombie Attack," where riders shoot 3D zombies on screen in a moving chair, with environmental effects like wind blasting at them.